Nä Ali`i - What makes a leader? I was reading through the staff profiles we prepared for Terry as I was brainstorming on the best O wau topic to post. I liked reading what everyone stated was their "committment." I think it was inspiring to see everyone put down in writing what each of us are committed to in our work. I know one of the goals of our O wau sessions is to keep on the cutting edge of emerging technology and online teaching and learning innovations/strategies, but what stood out to me, in all of our committments, was our committment to create, teach, and spread cultural learning opportunitites for Hawaiian students of all ages. Which led me to think about doing some O wau postings focusing on cultural topics; not necessarily teaching or sharing something new but providing us with the opportunity to think about and reflect on cultural content that we already use with our learners that can help us increase our own cultural awareness. 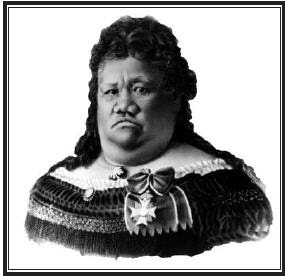 Then I thought about Dorothy's blog post on being a tech leader and remembered that this is actually a lesson that we do, from a cultural perspective, in our Hawaiian Leaders Past & Present course. We ask the students to think about what they feel are characteristics of a good leader and we ask them to "nänä i ke kumu" or look to the source. In this case, looking at traits of traditional Hawaiian leaders for inspiration.We hire consultants to train us on being leaders, we read recommended books on how to lead, we go to workshops on leadership skills so it may be good for us, too sometimes to nänä i ke kumu; especially if these are the kinds of cultural content we are all committed to sharing with our students. Mahalo Kelly for allowing us to take the time to watch this video. I think it is a good idea for us to look at the resources we have and allow those resources to enrich our own knowledge. I think we're all very committed to what we want to do. At times, we may struggle with the everyday motions that we go through to get to the core of what we believe. So watching this video about Luka makes us take to heart the legacy that we're carrying on. When you asked the question about leaders that we look to, no one immediately came to mind for me. I guess my ideals have me hoping that everyone takes on a leadership role of others or in their own life. I admire anyone who exemplifies the qualities which to me are selflessness, passion, conviction, and the willingness to help others and make a difference. Mahalo e Kelly for a great owau topic. I loved the deviation from our usual topics and think we should definitely focus on nānā i ke kumu more often. I felt refreshed and inspired after viewing Ruth Ke`elikōlani's video. It was apparent that she was a strong, confident, kind and gentle leader who connected and cared for her people. It was unfortunate the Western publications at the time focused on her physical appearances and self-confidence traits in a negative way. I thought it was a well produced video, in which the producers attempted to integrate perceptions and thoughts from a Hawaiian perspective. It provided a good balance and understanding for me. To answer your posed question, "Who do you consider a leader and why?" I thought about the what makes a tech leader blog post and decided to add to it. In addition to being a life-long learner, I consider a leader one who has a vision and is committed to servicing his/her people to the best of their knowledge. Another thought also came to mind. I think it takes courage to be a leader and Princess Ruth reminded me of that. She was fluent in both English and Hawaiian, yet made the decision to converse only in Hawaiian even when it was probably challenging for her to do that in her environment at the time. Sometimes leaders need to make difficult decisions that are necessary, yet may not be the most popular. Looking forward to hearing everyone else's thoughts. Thank you Kelly for sharing that video with us. I really enjoyed it, I even took notes! :) Not sure how often if ever I would refer to it, but I really wanted to make a conscious effort to reflect back to someone that was a true leader to our Hawaiian people. I'm always telling myself that I really need to get back to my roots...however life gets so busy and I never really get around to it. I'm fortunate though that although life is busy, I'm still able to get some exposure to it here at Kamehameha. So, mahalo for sharing this video with us! To answer your question "Who do you consider a leader and why? "...for me, I couldn't think of anyone. Its sad but true, we have millions of political leaders in the world, however to look up to someone and trust that they are REALLY looking out for me, my family, Native Hawaiians, and the people of Hawaii....I could not think of anyone! I only hope that someone will step up to the reigns someday to help guide our children to become great leaders themselves. As parents we should also take on some of those leadership roles and guide our own children to be strong minded and passionate individuals like Luka.